After I put it up a student asked me if I drew it. Yes, yes I did. Because before I was a math teacher I was a Norwegian expressionist painter who died in 1944. By the way, I just photoshopped this and split it up onto 9 pages, then used the Math Department color printer to print it off (oops). If you want the files, here they are in a compressed folder (nine 8×10 images and the original full file). 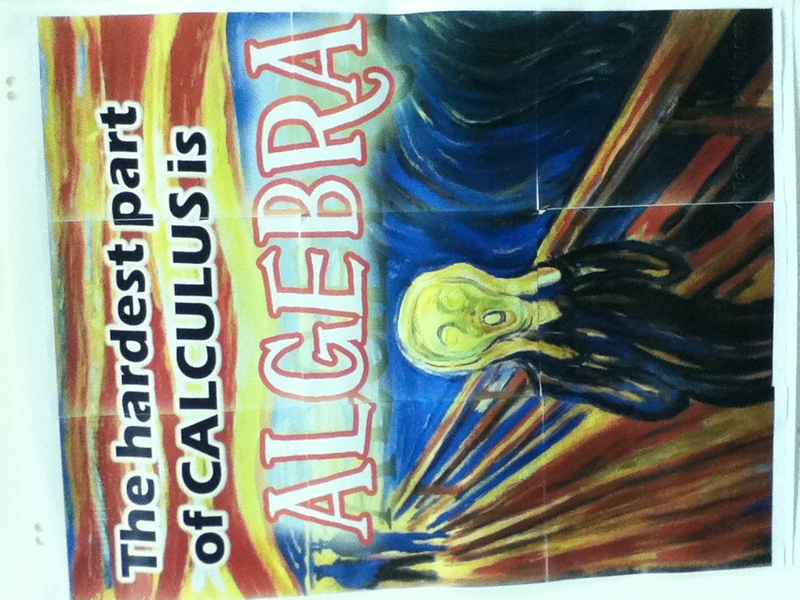 Posted on November 29, 2011, in Calculus. Bookmark the permalink. 4 Comments. Fabulous! How did you do it? Or did you buy it? I’d like a copy for my office. I put a link to the image separated into 9 parts/whole if you want to download it. I just photoshopped it myself!